Hola. 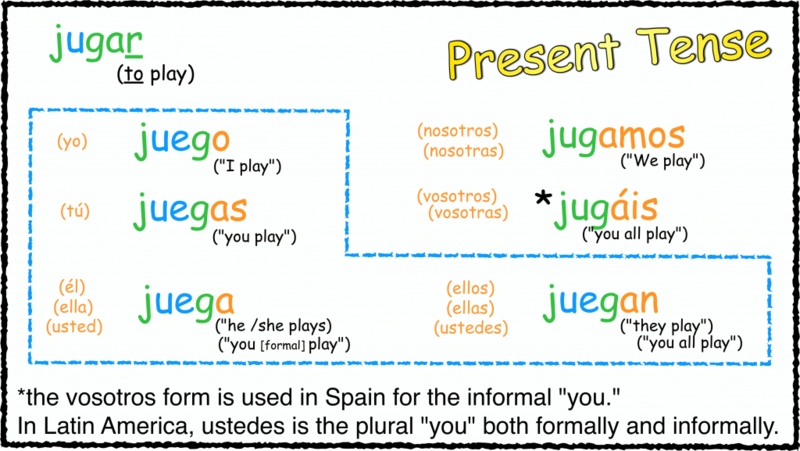 In this lesson, we’ll be talking about the verb jugar (to play) and review some activities from the previous lesson. ¿Quién? / ¿Quiénes? – who? Why not have “al” before videojuegas? In the sentence, “I don’t play baseball often” you translated it as “No juego al beisbol a menudo”. Why do you use ‘al’ before beisbol? I do not see the word ‘the’ before baseball in the question. It is generally accepted to be the correct way. And it is “al béisbol” instead of “el béisbol” because “a + el” becomes “al”. In Latin America you can leave out the “a” or you can use it. But in that case people will leave out the “el,la,los,las” before the activities/games/sports. Your videos are super helpful, we do them for homework in 6th grade Spanish! Thank you!